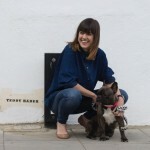 Taking in striped must-haves, bold colours and pretty pastels, Lead The Walk works through the latest trends to bring you pup-dates for your dog’s wardrobe, toy box, dwellings and more. So get Spring-cleaning and make way for these cool new doggy buys. 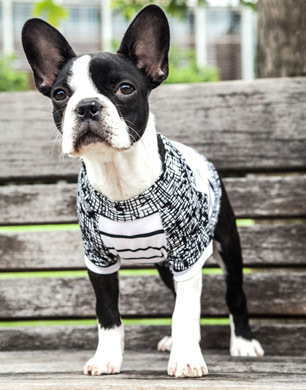 Stripes and scribbles collide in this monochrome doggie-tee from LA-based, hipster hound brand Penn + Pooch. Complete with a back flap for essential lead and harness access, it’s the perfect transition piece from Winter to Spring. Also incorporating the pastel trend is this lilac and grey toned, faux-fur dog blanket. 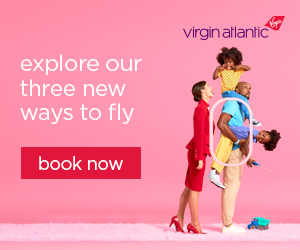 Perfect for chilly Spring mornings, its chic design and inviting fluffiness might see you embroiled in a joint blanket custody battle struggle with your dog. Sometimes it’s best to invest and when it comes to spending your puppy pound, this luxurious, butterfly-style leather dog harness is on point. Handmade in Italy, this collar pairs soft black leather with gold studs to create a luxe pet accessory that will see your dog looking fashion-forward for several seasons to come. 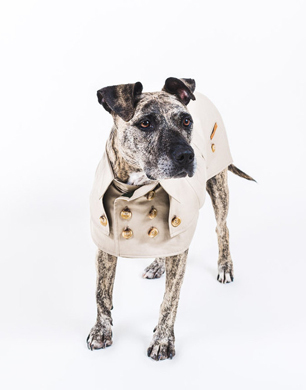 The trench coat is synonymous with Spring style so why not apply these classic fashion rules to your four-legged friend? This elegant doggy mac is presented in beige with an olive green lining, double-button detailing and two decorative pockets. It’s also made from water-repellent fabric to protect your dog from April showers. 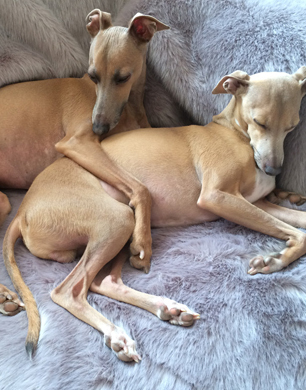 If your dog’s snout is looking a bit crusty after Winter, restore its natural softness with this organic snout balm. Handmade, vegan and cruelty free it’s packed with lots of healing and natural ingredients such as Shea Nut Butter, Sweet Almond Oil and Vitamin E.
Spread a little Spring happiness with this fun, handmade pet ID tag from the cheekiest peeps in the doggy business. 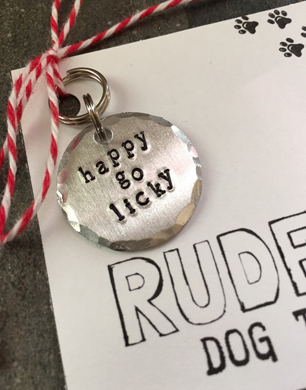 Playing by their own rules, thRUFFtyPup aim to make dogs look classy, sassy and a bit smart assy, head over to their Etsy store for their more scandalous and highly humourous pet ID tag designs. Extend the Spring Summer 16 pastel trend to your dog’s dwellings with this sweet gingham print dog bed in fresh minty green. 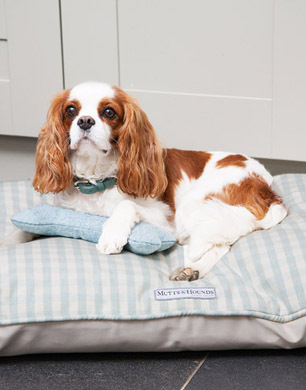 Oversized for maximum doggy stretchers, it has a 100% cotton removable cotton cover that is suitable for visits to the washing machine to ensure it stays smelling Spring fresh. 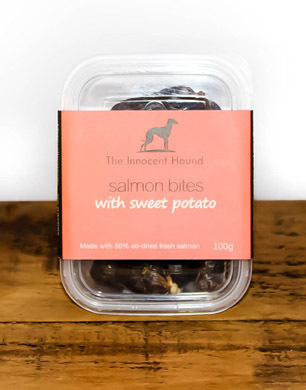 If your dog has packed on the pounds over winter, these tasty salmon and sweet potato bites are light on fat, yet high on tasty and essential Omega 3. Made with fresh ingredients and air-dried to maintain their nutrition and taste, these treats will put a spring in your pup’s step. 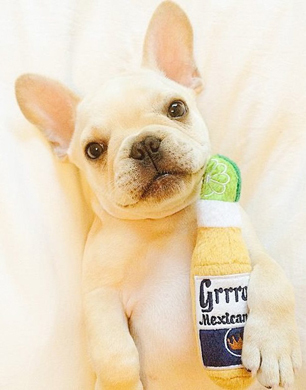 The on-set of Spring is a cause for a celebration so let your dog have their fun with this cheeky Mexican beer inspired plush toy. Alcohol free, your dog will get their kicks with the built-in squeaker. Party time!